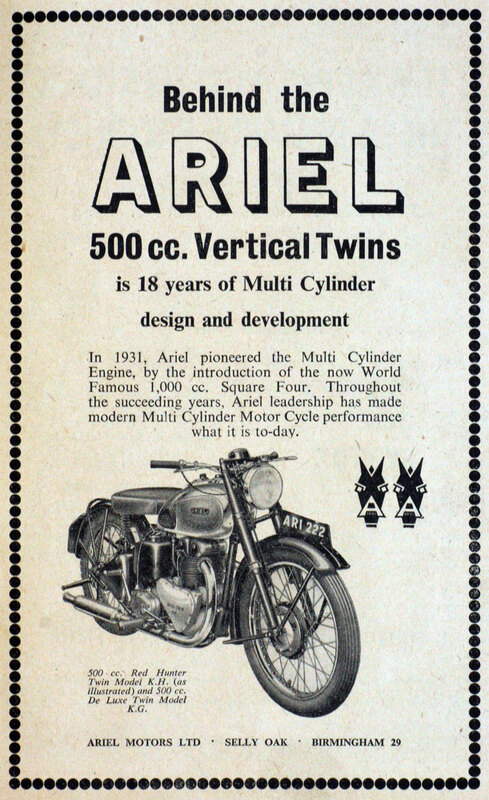 Ariel Motors (J.S.) 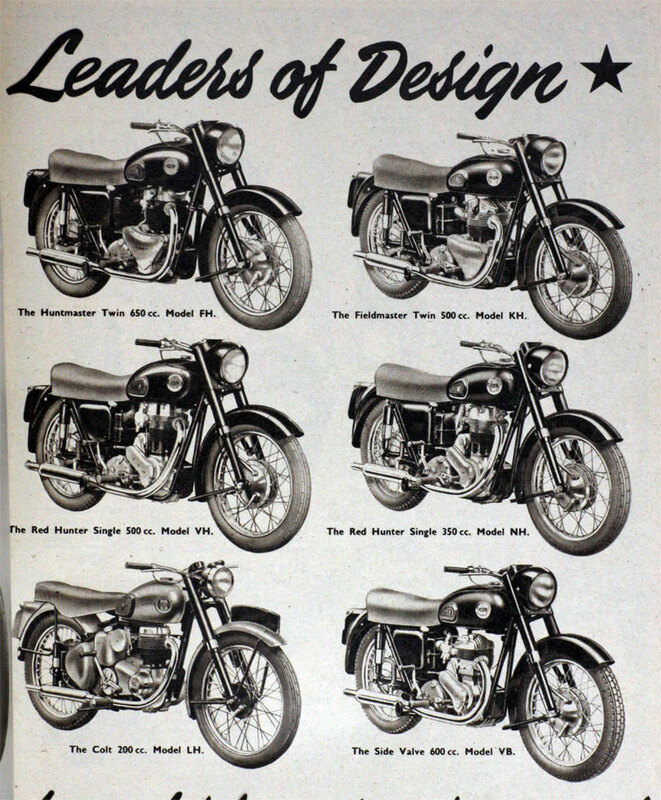 Ltd motorcycle makers, of Selly Oak, Birmingham. 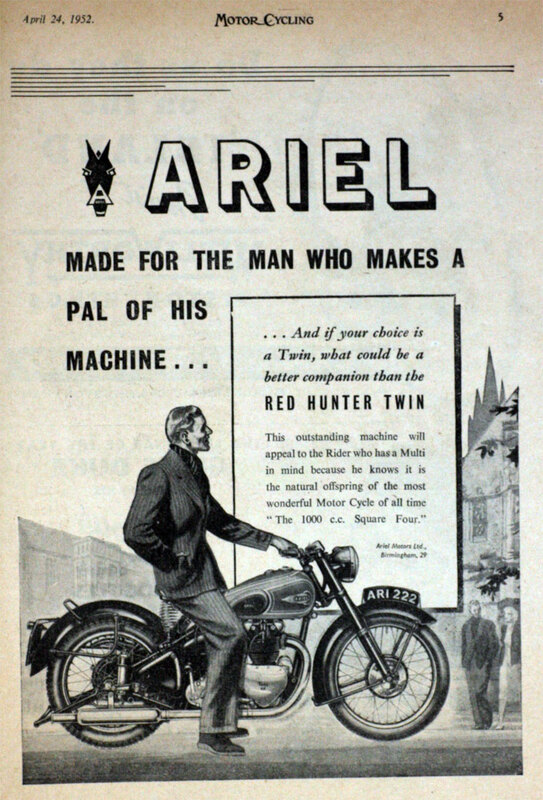 1932 Components Ltd, including Ariel Works Ltd, went into receivership. 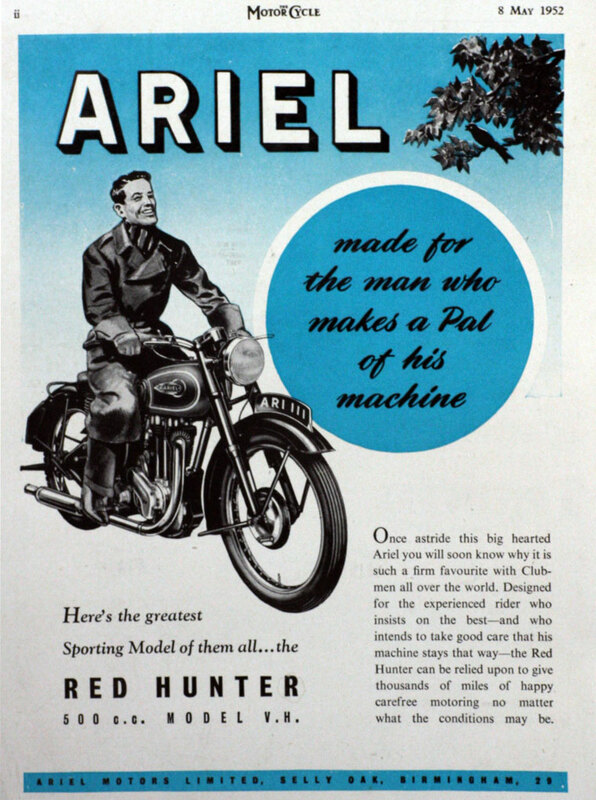 Jack Sangster bought most of the motorcycle assets from the receivers, to start a new company called Ariel Motors (J.S.) Ltd. He bought all of the tools for almost nothing, re-hired the cream of Ariel's staff, and moved 500 yards down the road to a new plant. Sangster rebuilt the company using the wealth of design and engineering talent employed by the company, which included men such as Edward Turner, Val Page and Bert Hopwood. 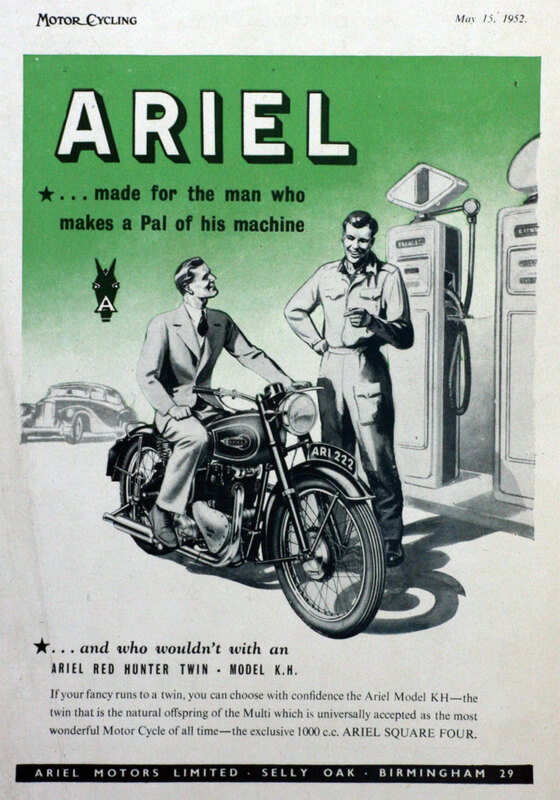 1932 Became a private company Ariel Motors (J.S.) Ltd. For a summary of the various users of the Ariel name see Ariel - an overview. 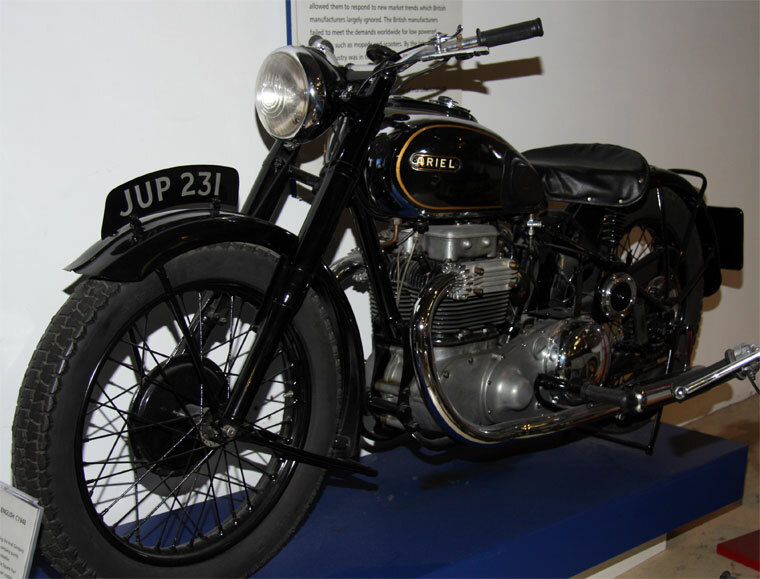 1939 New Imperial was bought by Jack Sangster, of Ariel, who planned to move it to the Triumph factory in Coventry, but production remained at Hall Green until the end of the decade. WWII. The company built a military version of the 346cc ohv single and worked on many projects for the forces. 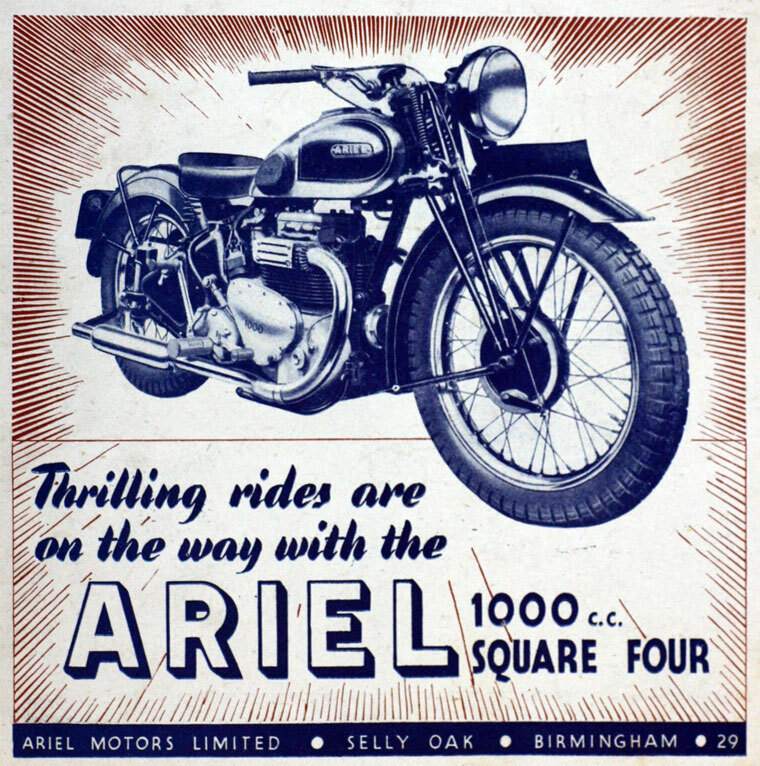 1944 Sangster sold Ariel Motors (J.S.) 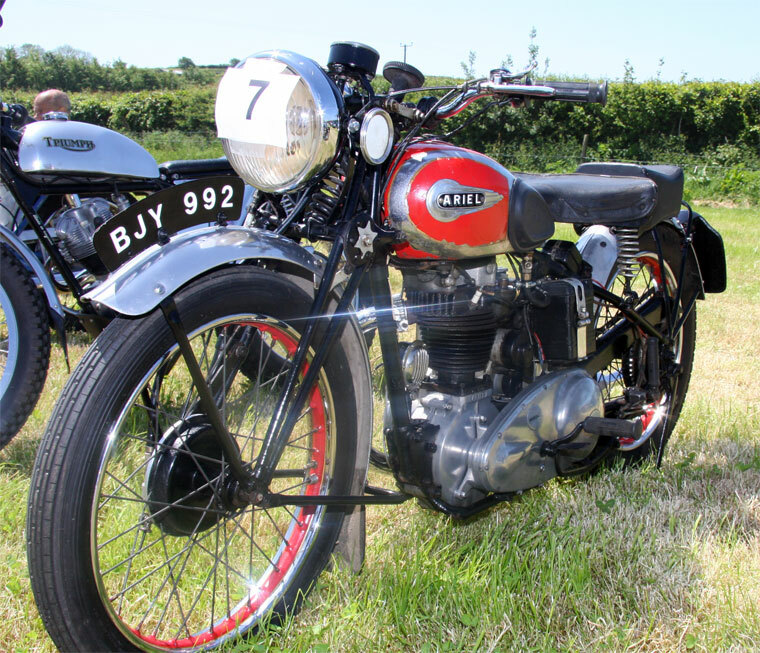 Ltd to the BSA company for a considerable profit. 1961-64 A Super Sports model joined the range. It was known as the Golden Arrow because of its finish. 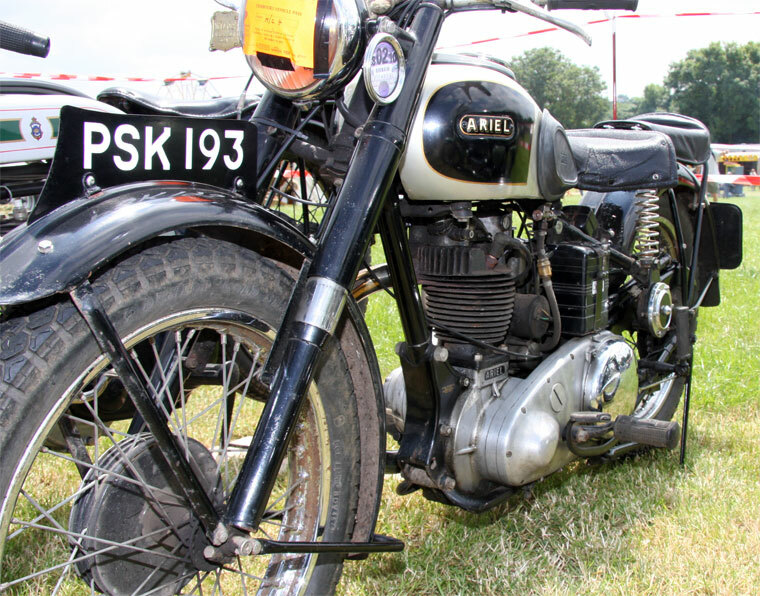 A low insurance model was also produced along with a new model known as the Pixie, but these were short lived. This page was last edited on 6 December 2018, at 18:54.